Here's a quicker relief for those of you who have been suffering from backaches. 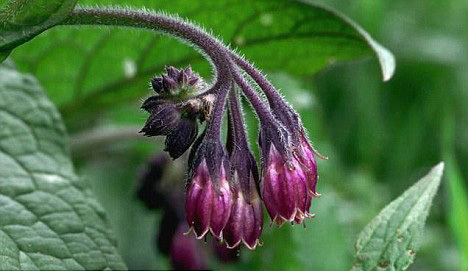 Comfrey, a turnip-like herb has been tried and tested as an effective backache reliever. An ointment from the herb was tested against a dummy ointment on 120 people and has shown a fall of 95 percent compared to only 39 percent in backaches. Also, the ointment from the herb was said to be fast acting, getting to work after just an hour. Previous trials have shown that comfrey can also acts as a painkilling gel to soothe ankle sprains and has shown to help people with painful osteoarthritis of the knee. However, it is not a good idea to consume comfrey as they can be toxic to the liver.